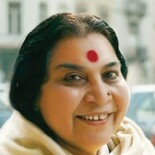 Three peer-reviewed published scientific studies on Sahaja Yoga meditation. The state of mental silence in long-term meditators was correlated with gray matter and functional connectivity. The depth of mental silence was associated with larger gray matter volume in rostral anterior cingulate cortex rACC. There was an association between the depth of mental silence and functional connectivity between bilateral Ant. Insula and rACC. There was an association between connectivity of rACC with the bilateral insula and depth of mental silence. The study shows that long-term practice of Sahaja Yoga Meditation is associated with larger grey matter volume overall, and with regional enlargement in several right hemispheric cortical and subcortical brain regions that are associated with sustained attention, self-control, compassion and interoceptive perception. The increased grey matter volume in these attention and self-control mediating regions suggests use-dependent enlargement with regular practice of this meditation. Meditators appear to pass through an initial intense neural self-control process necessary to silence their mind. After this they experience relatively reduced brain activation concomitant with the deepening of the state of mental silence over right inferior frontal cortex, probably reflecting an effortless process of attentional contemplation associated with this state. This entry was posted on August 24, 2013 by tricitiesmeditation in Beginner, Other Resources.